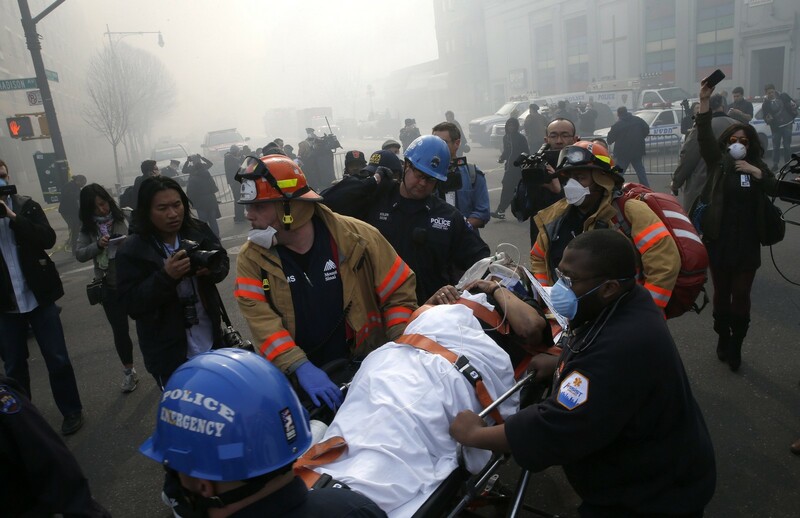 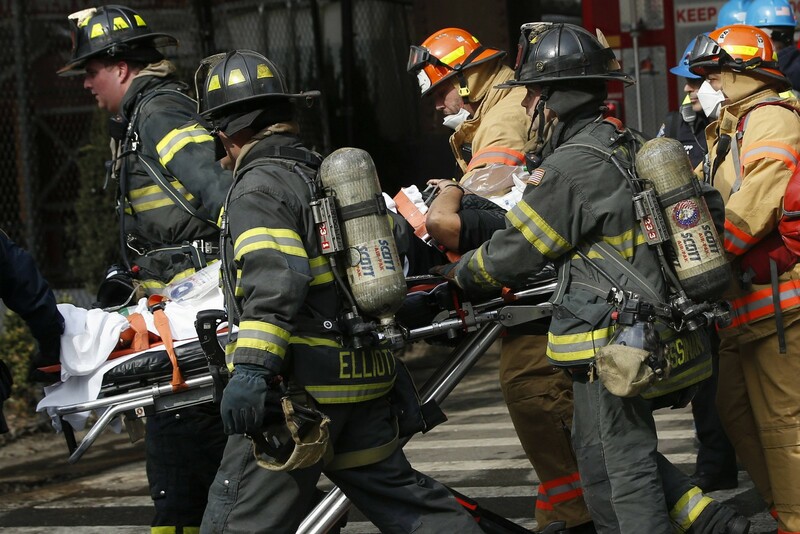 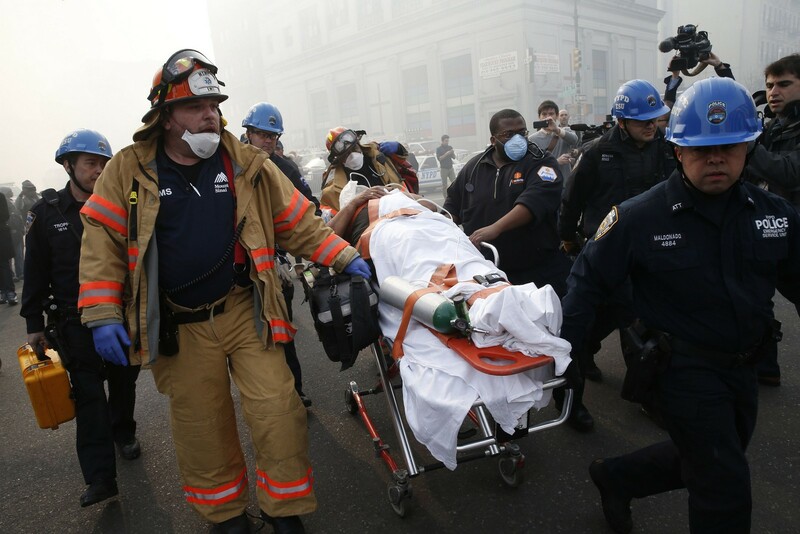 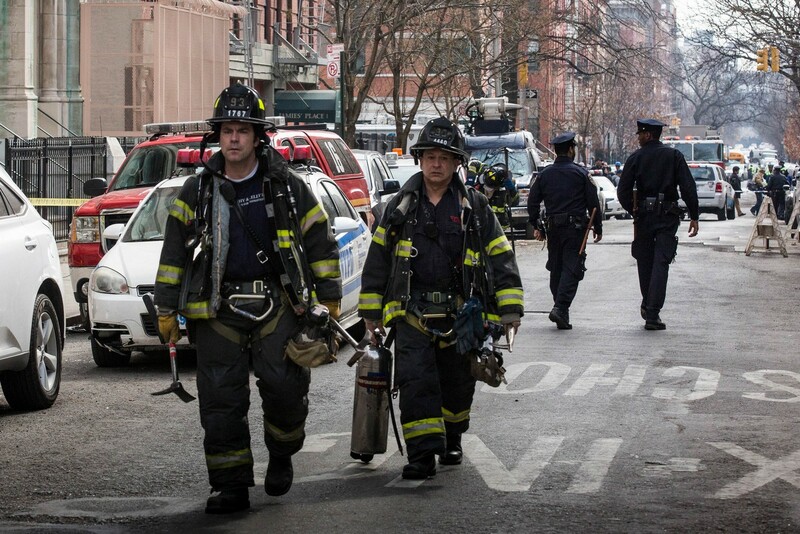 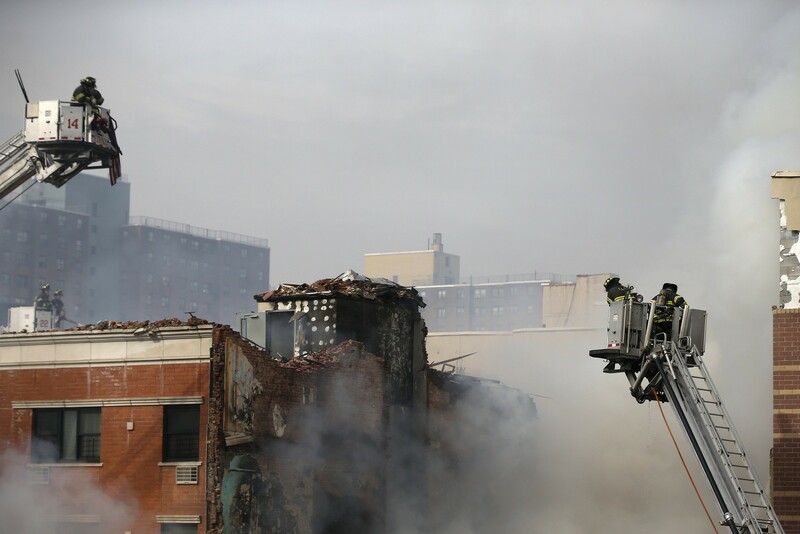 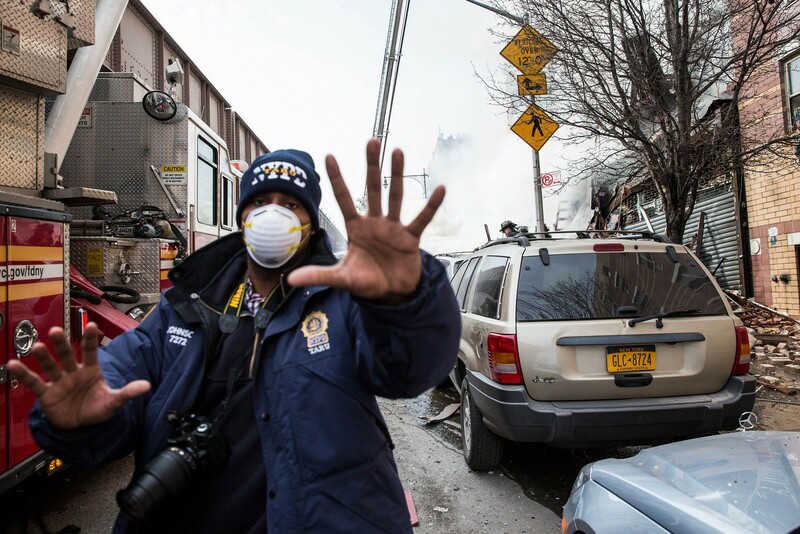 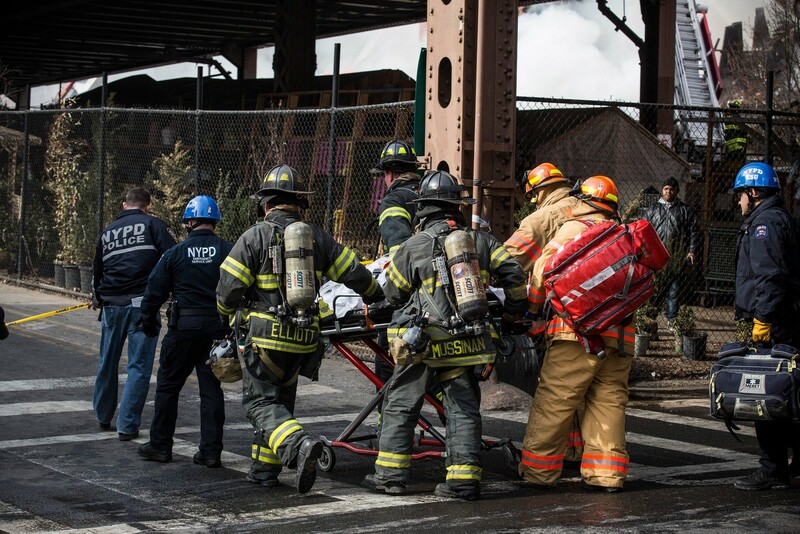 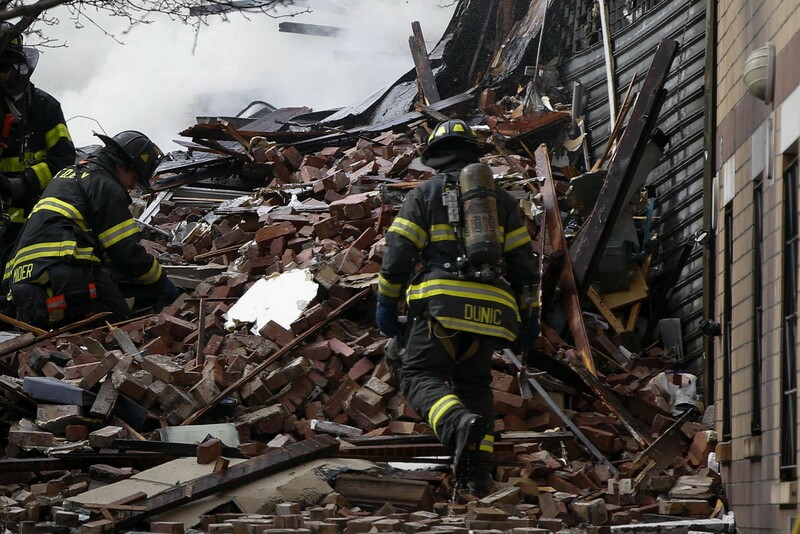 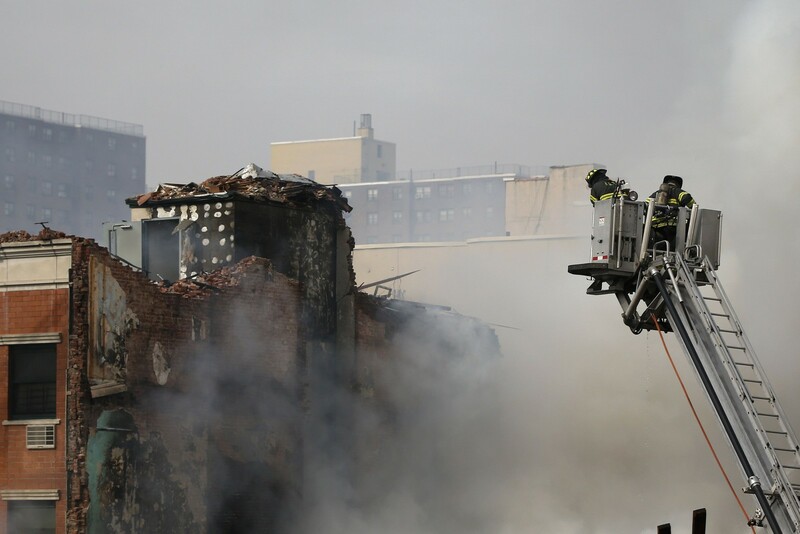 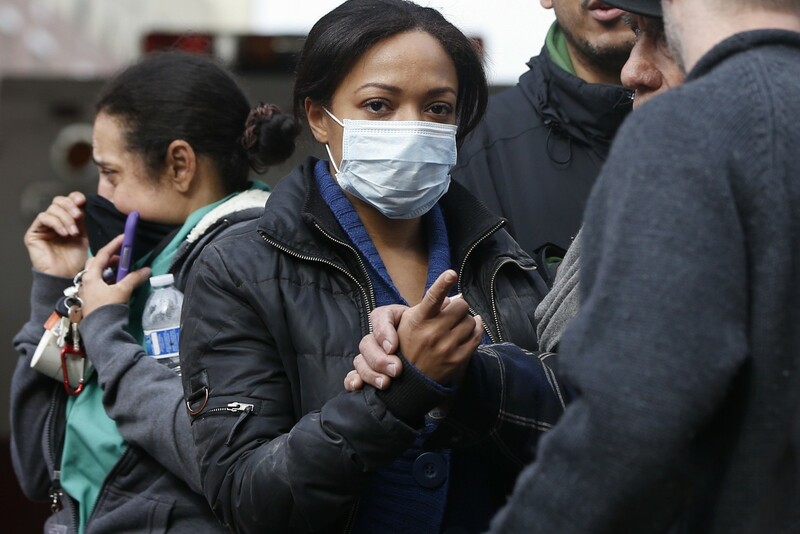 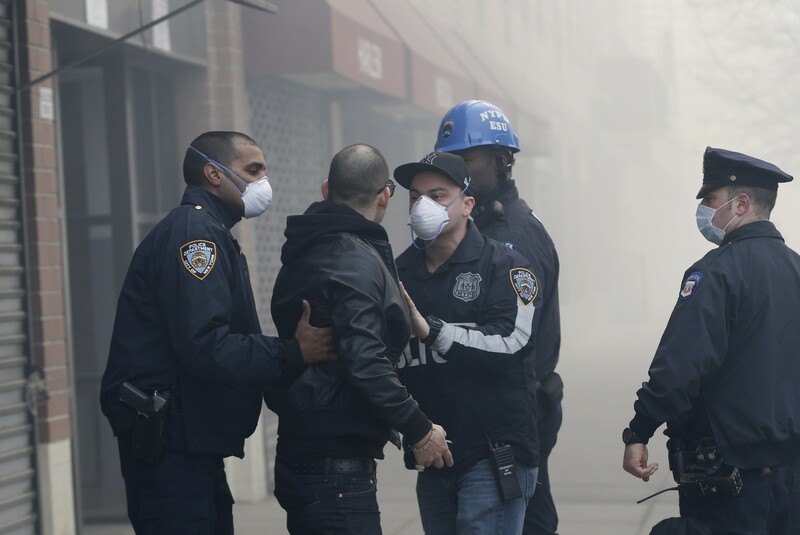 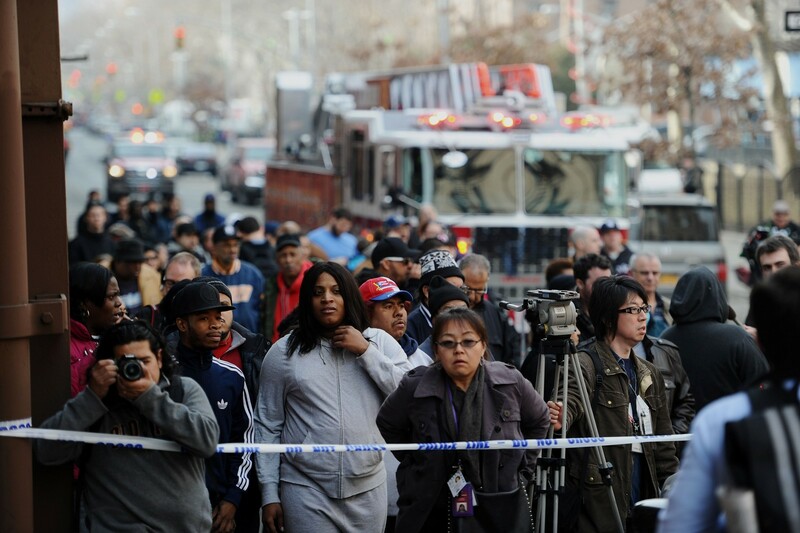 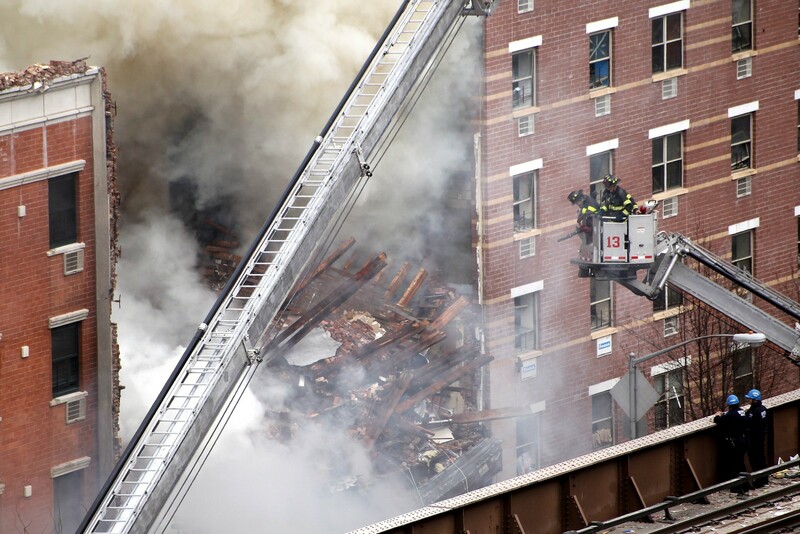 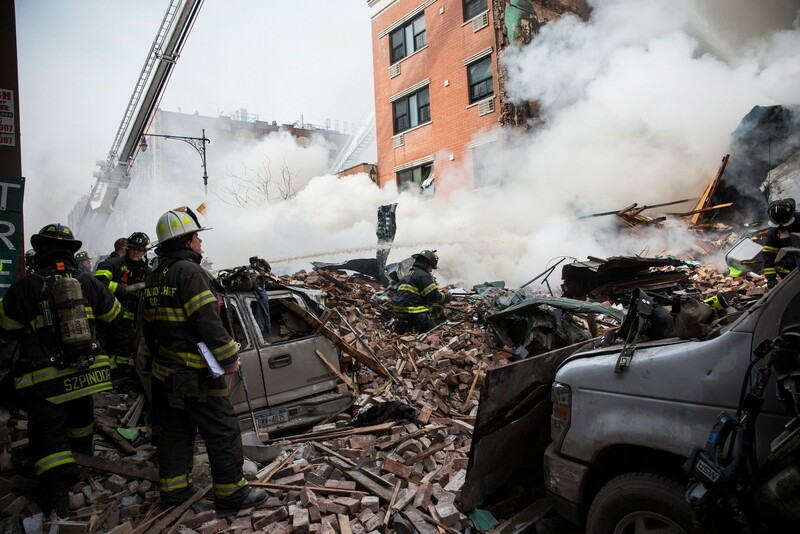 NEW YORK - Two New York City apartment buildings collapsed on Wednesday in an explosion apparently caused by a gas leak, killing at least six people and injuring more than 40, with several more victims feared trapped in the rubble, officials said. 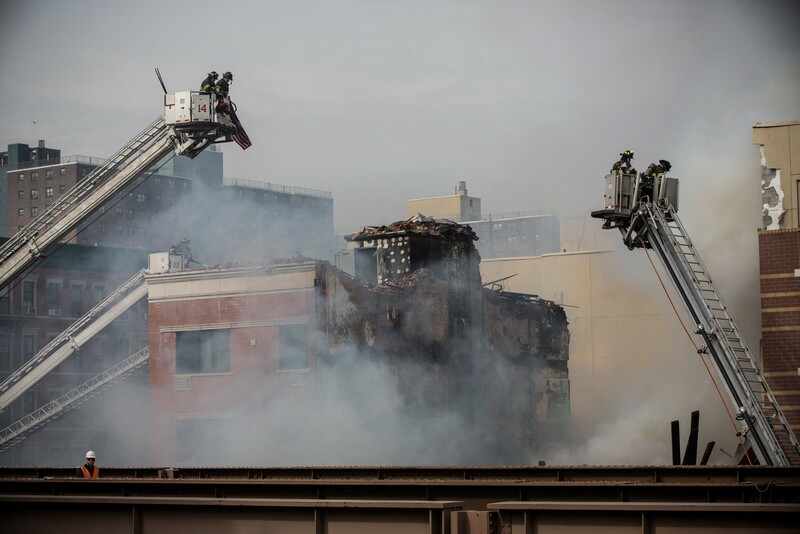 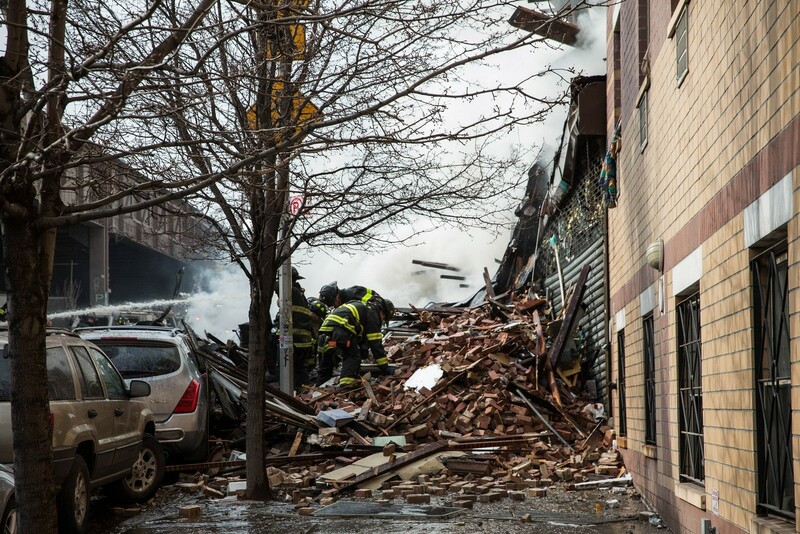 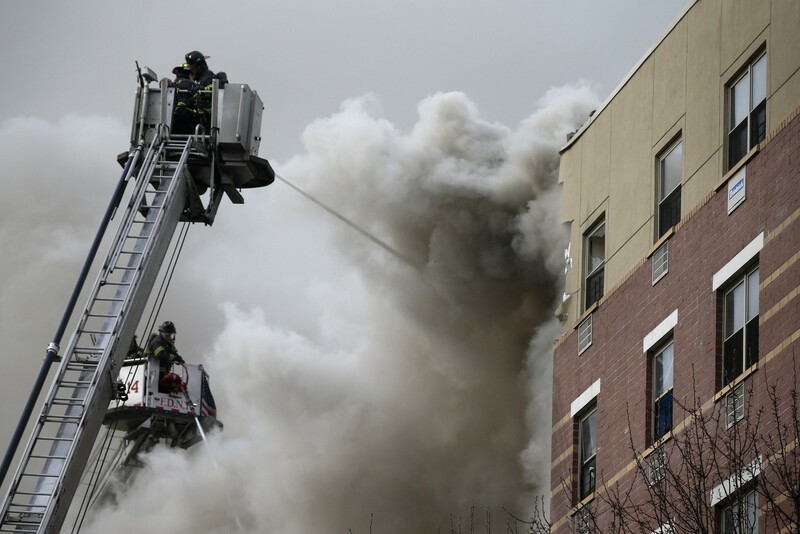 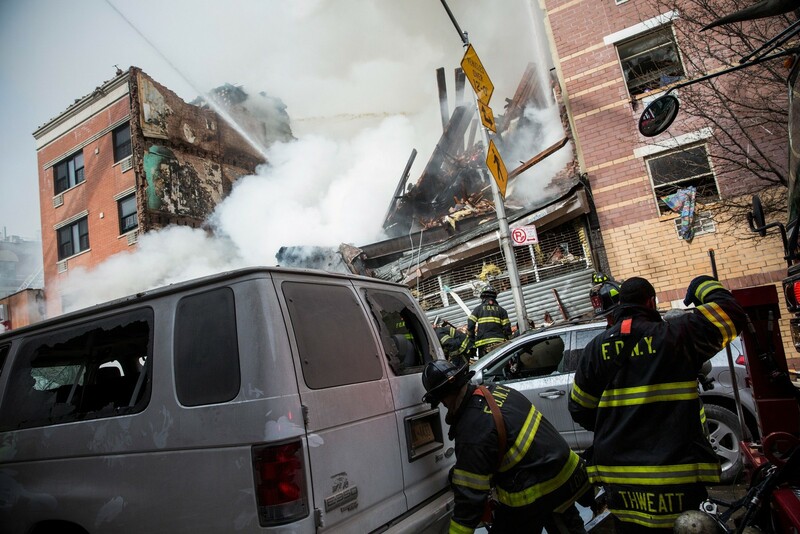 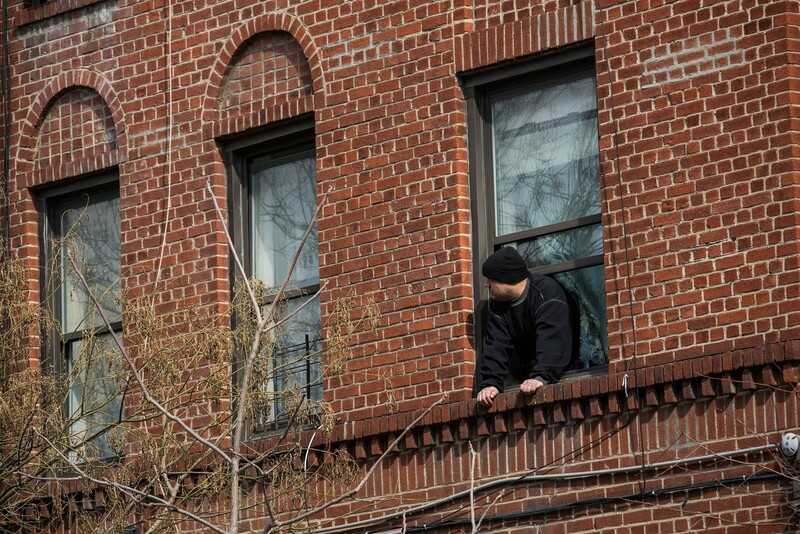 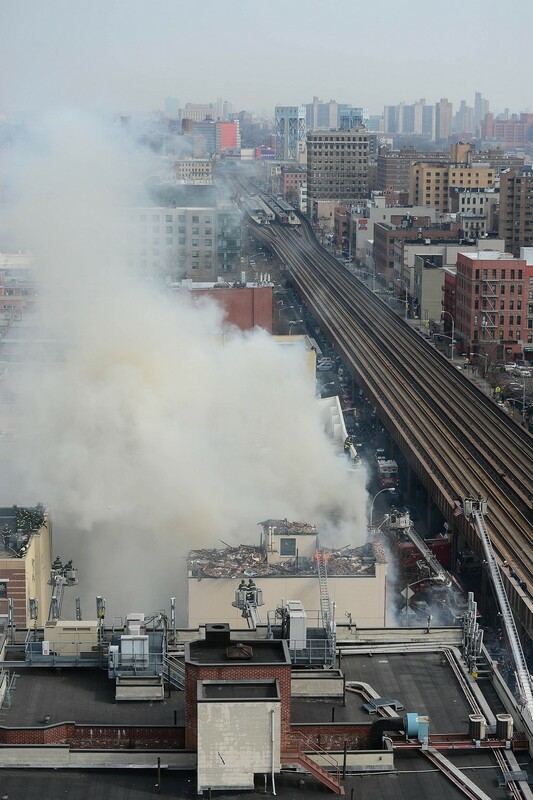 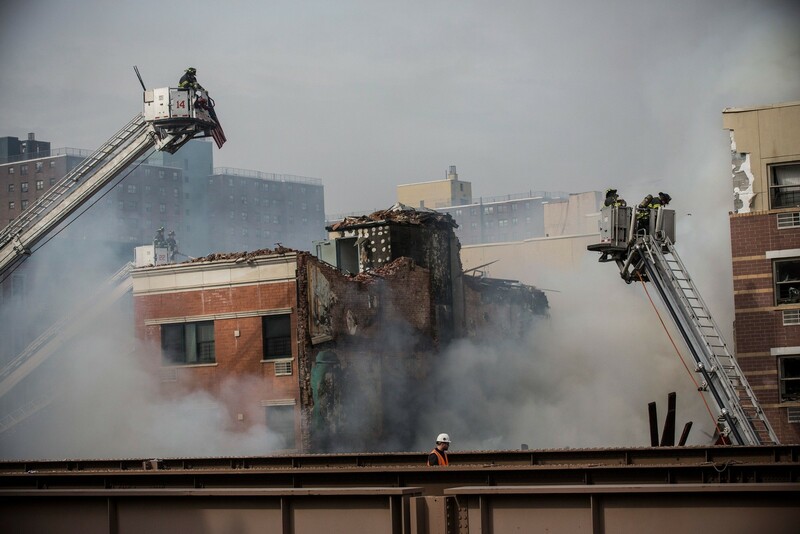 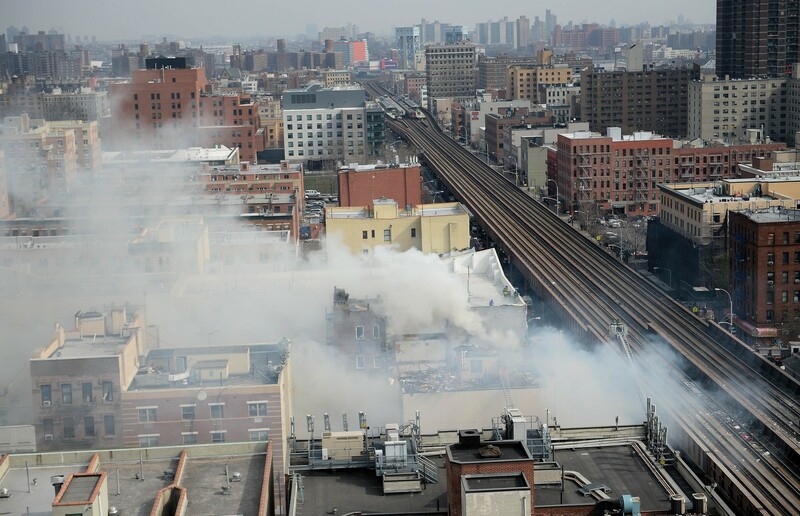 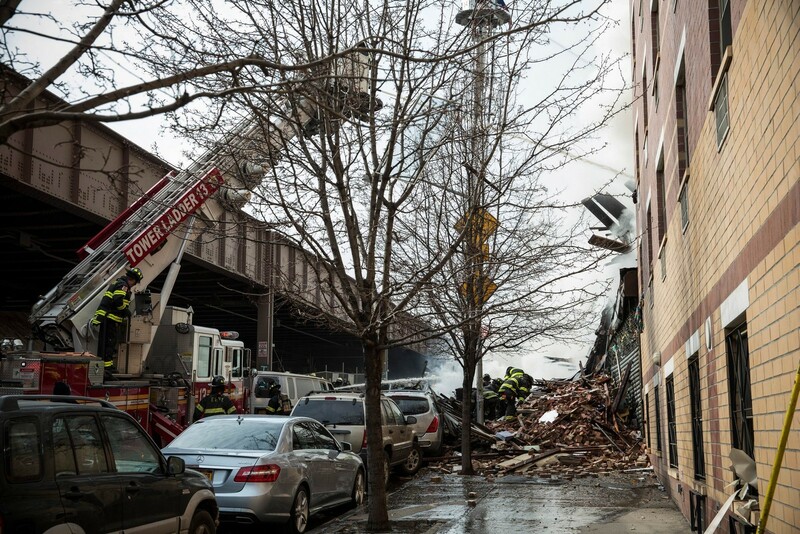 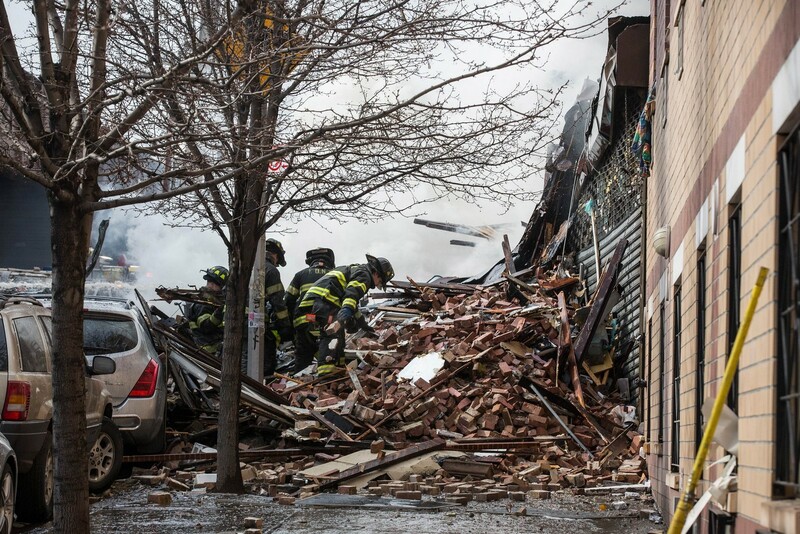 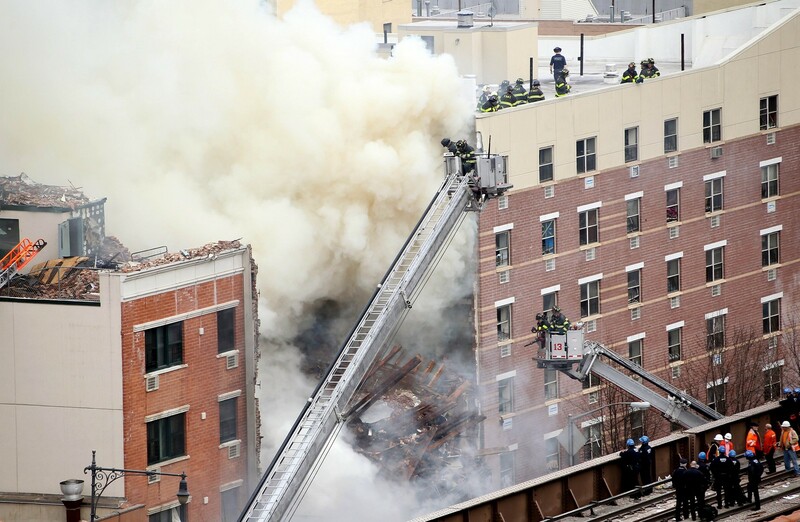 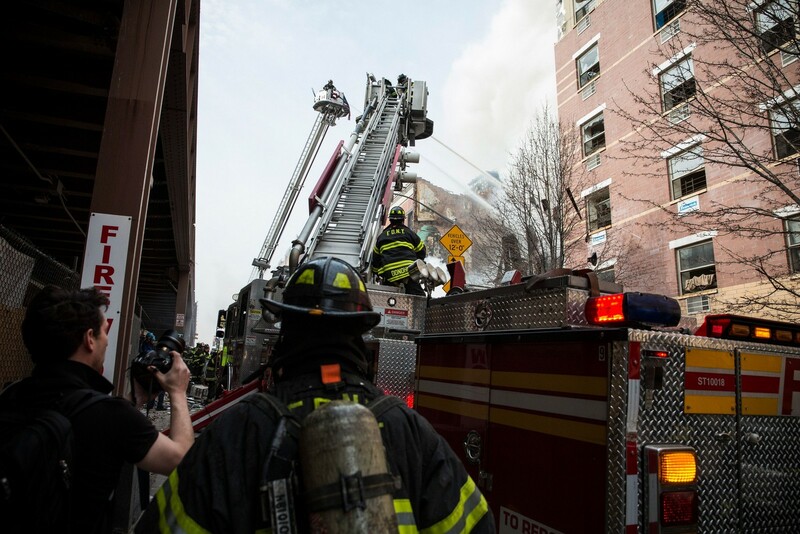 The blast, which scattered debris across nearby rooftops, brought down the adjoining five-storey buildings, with a total of 15 apartments, at about 9.30am on a largely residential Upper Manhattan block at East 116th Street and Park Avenue. 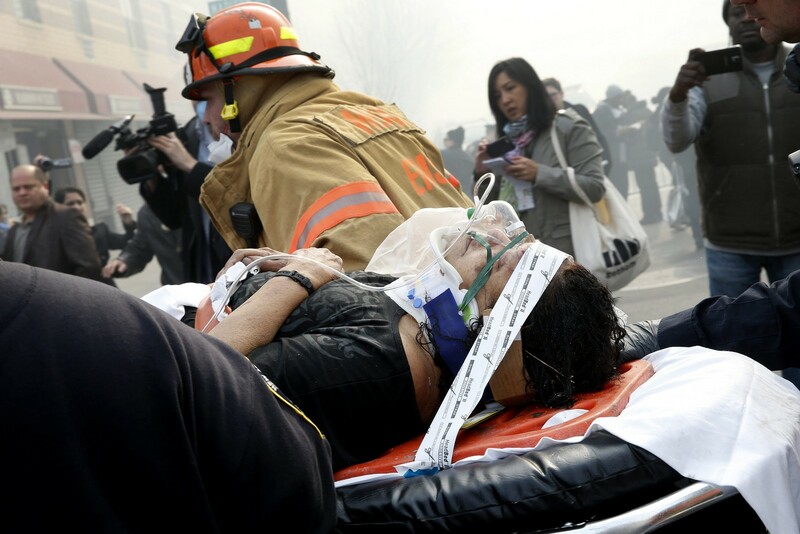 Clouds of thick smoke billowed from the rubble of the apartment houses that had sat above a ground-level church and a piano store, in a largely Latino working-class neighbourhood. 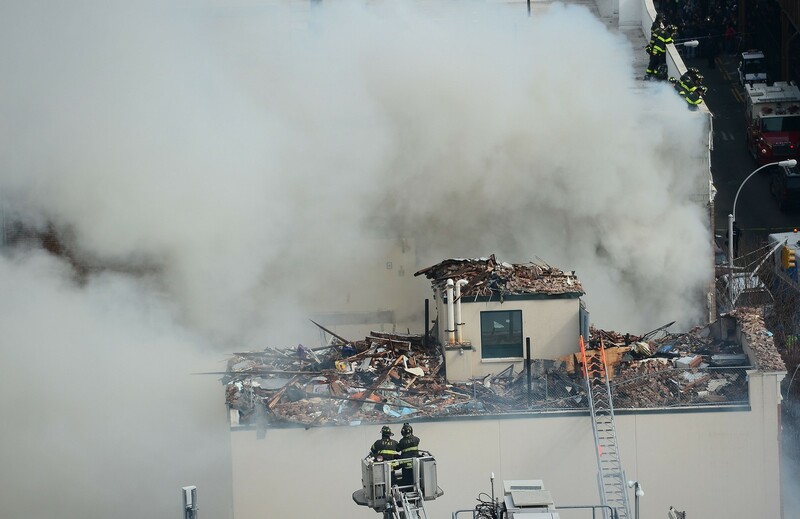 Pockets of fire and heat smoldered inside the mounds of debris for many hours after the blasts, complicating search-and-rescue operations that continued under flood lights through the night, city Fire Department spokesman Michael Parrella said. 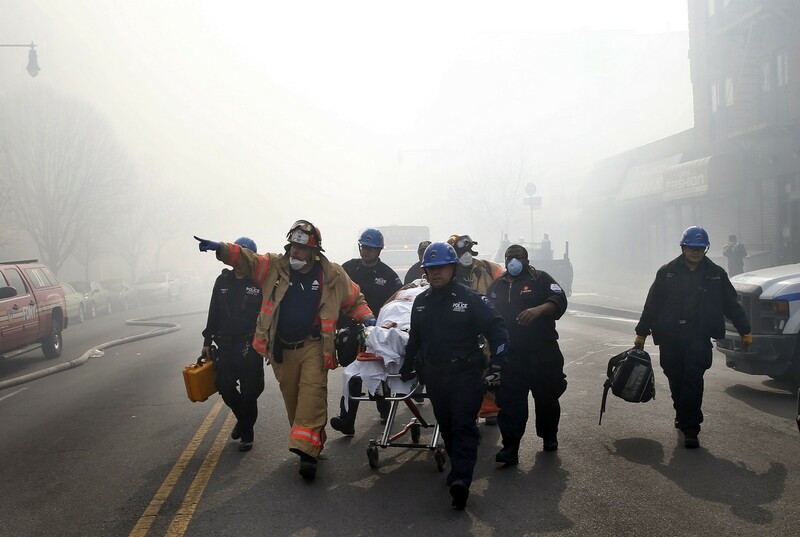 He said city officials estimated that nine people were still missing as of midnight. 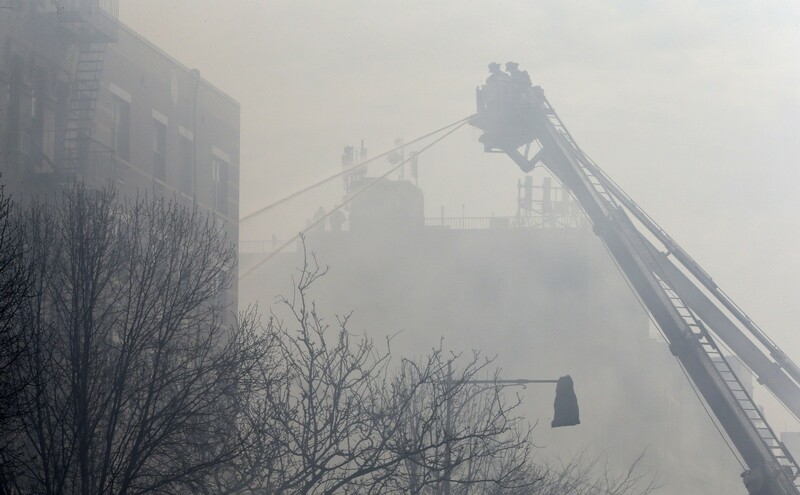 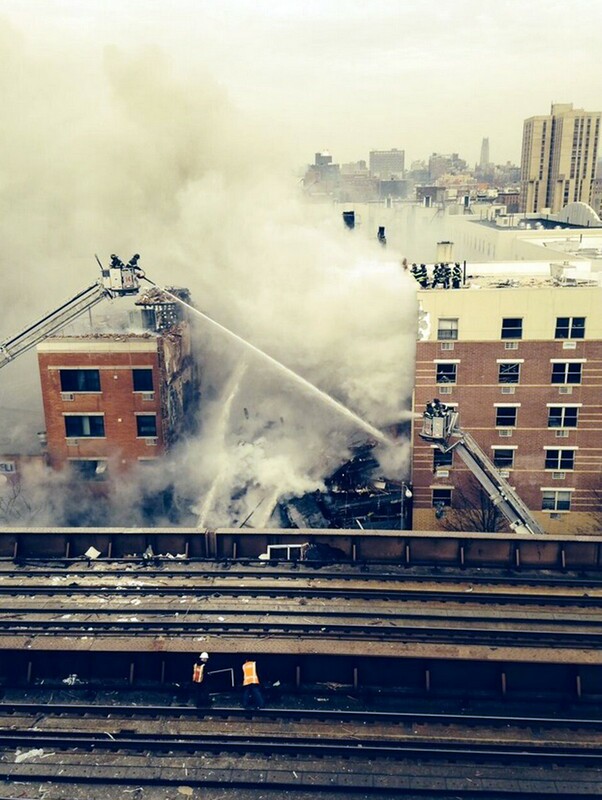 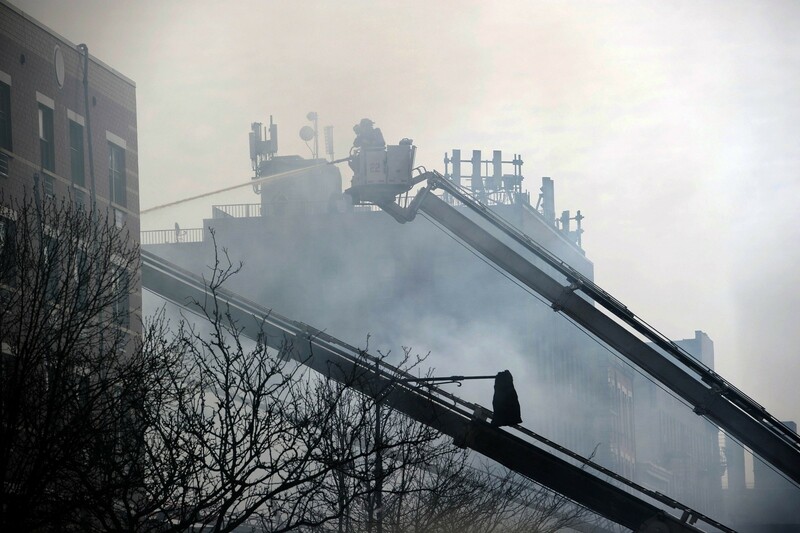 A police spokesman said five people remained unaccounted for early on Thursday morning. 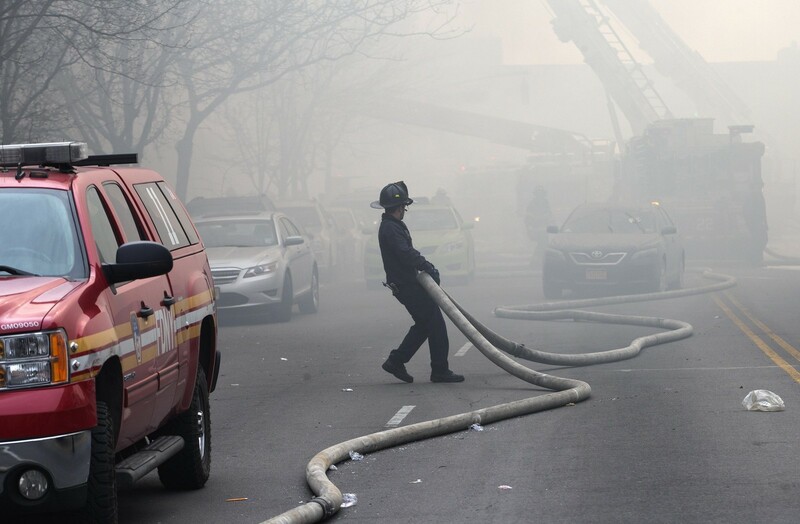 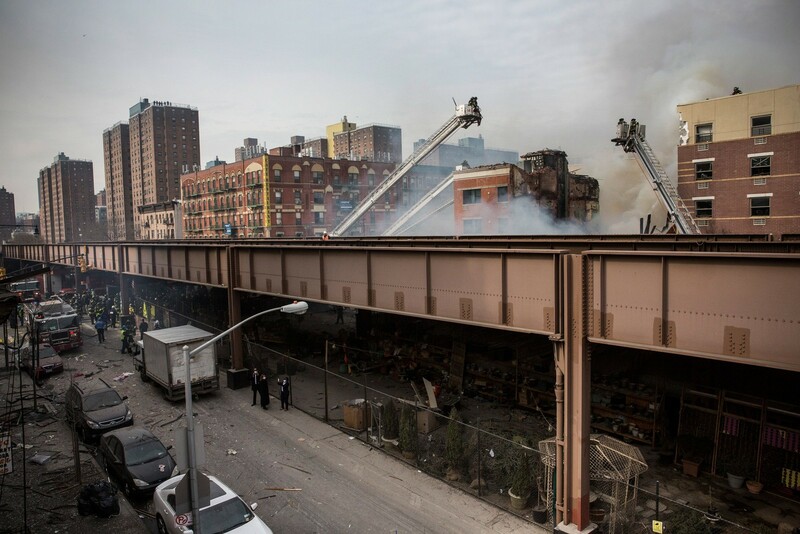 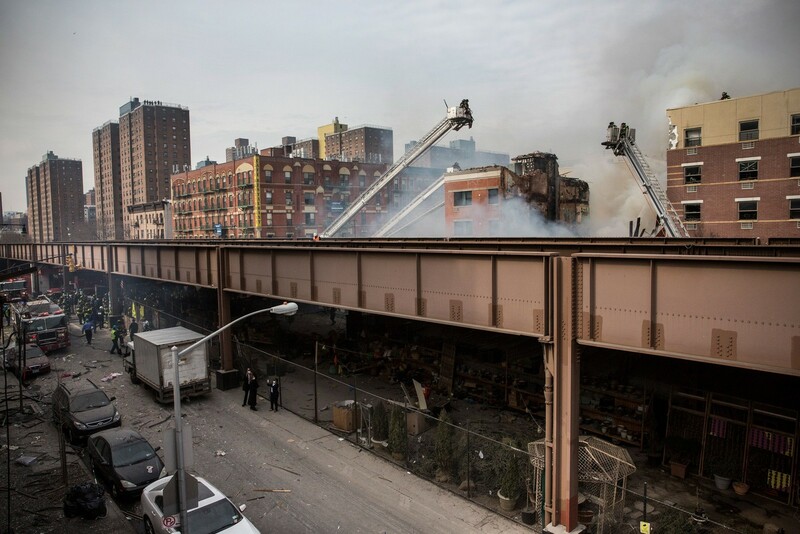 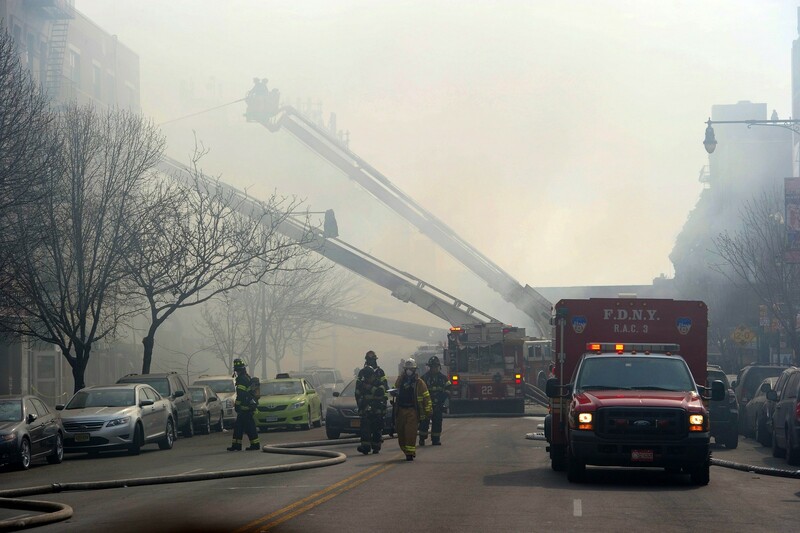 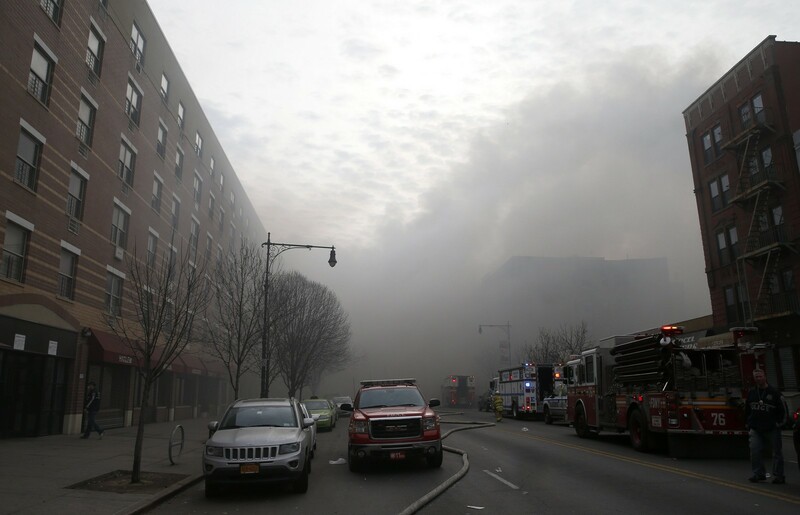 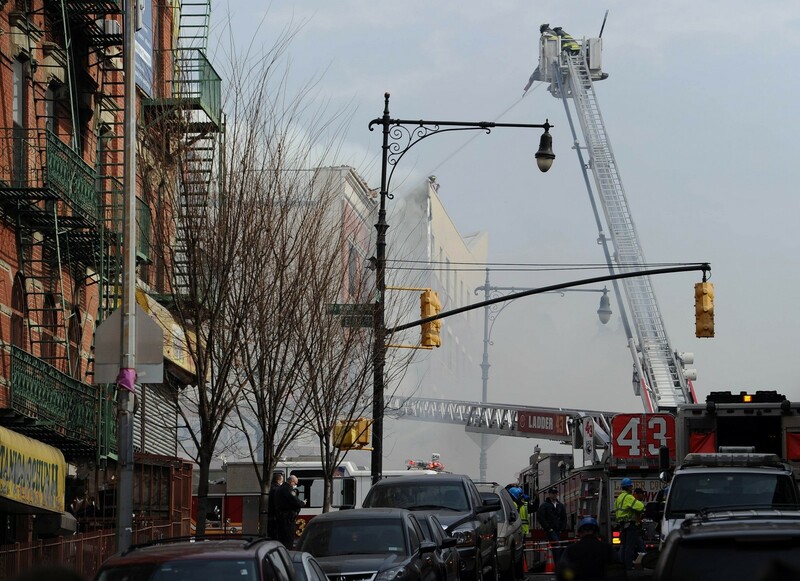 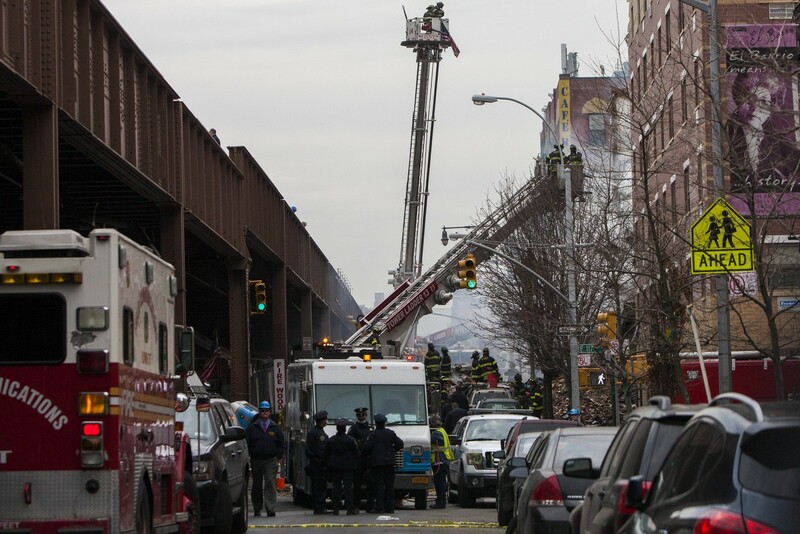 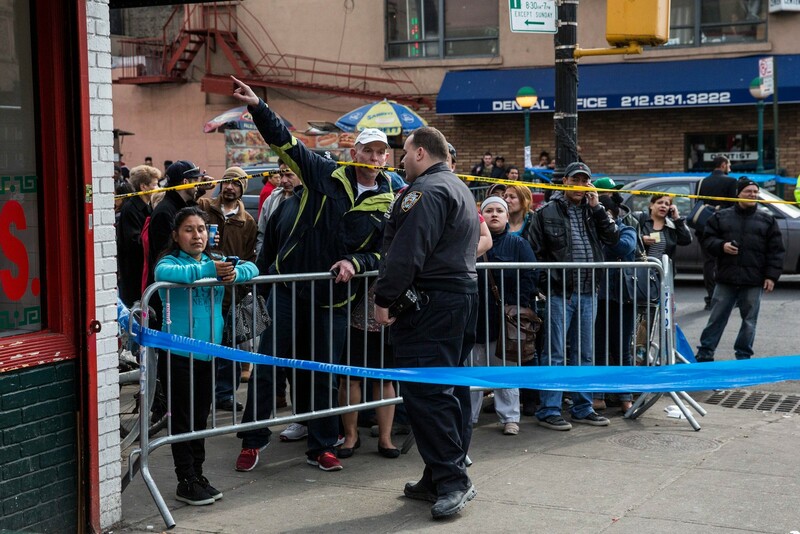 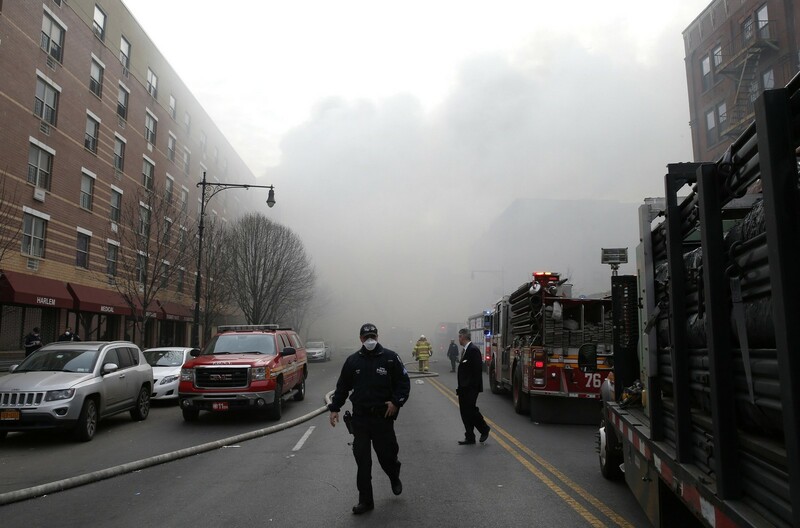 Mayor Bill de Blasio, who rushed to the scene in East Harlem, where a cascade of twisted and burnt metal blocked the sidewalk and covered parked cars, said preliminary information showed that the explosion was caused by a gas leak. 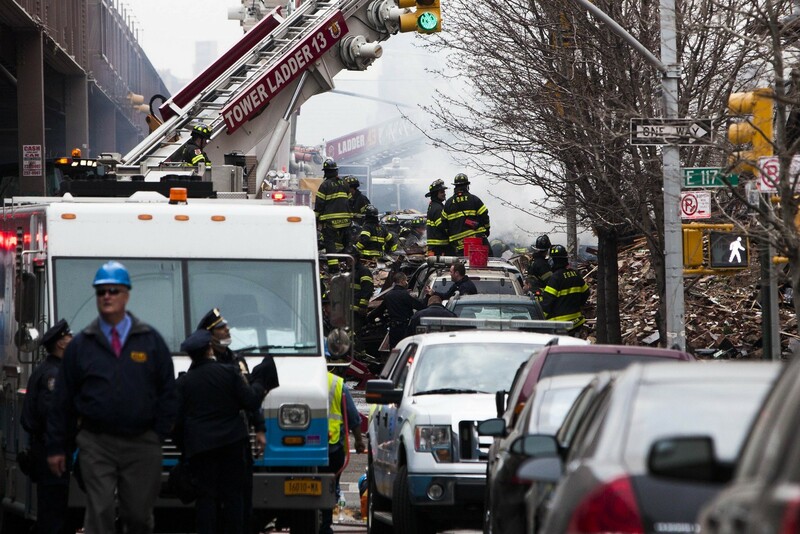 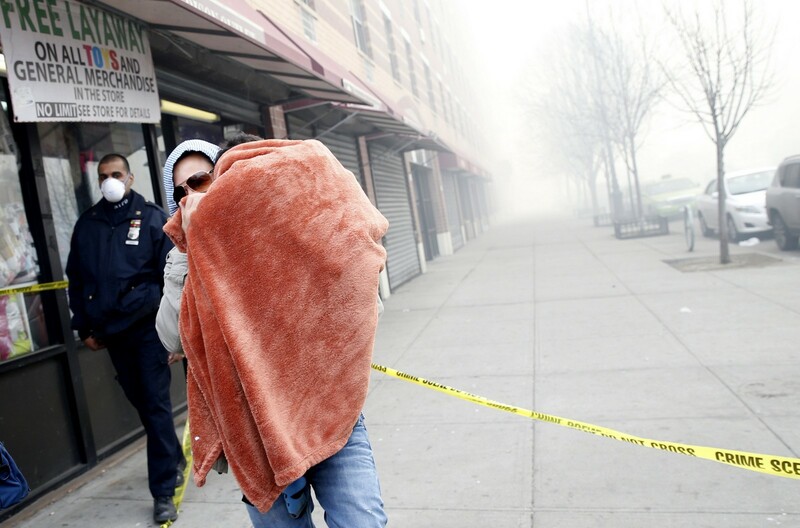 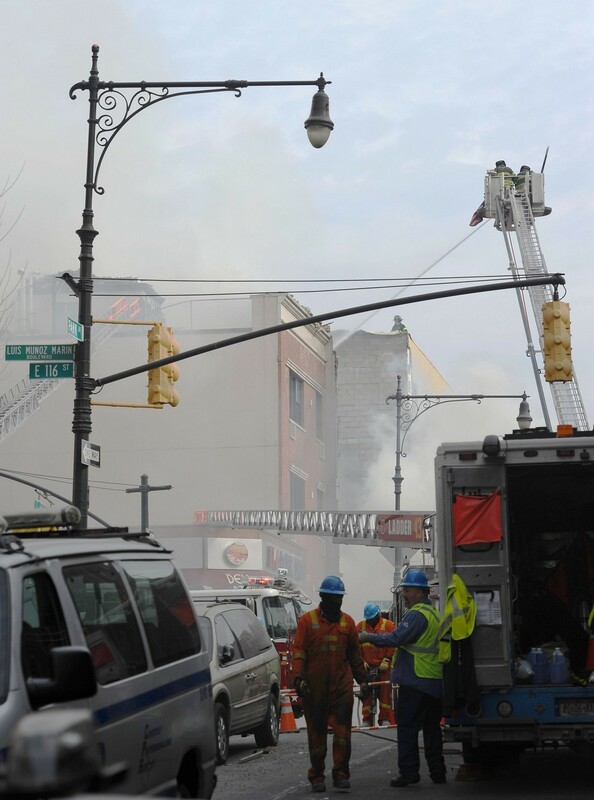 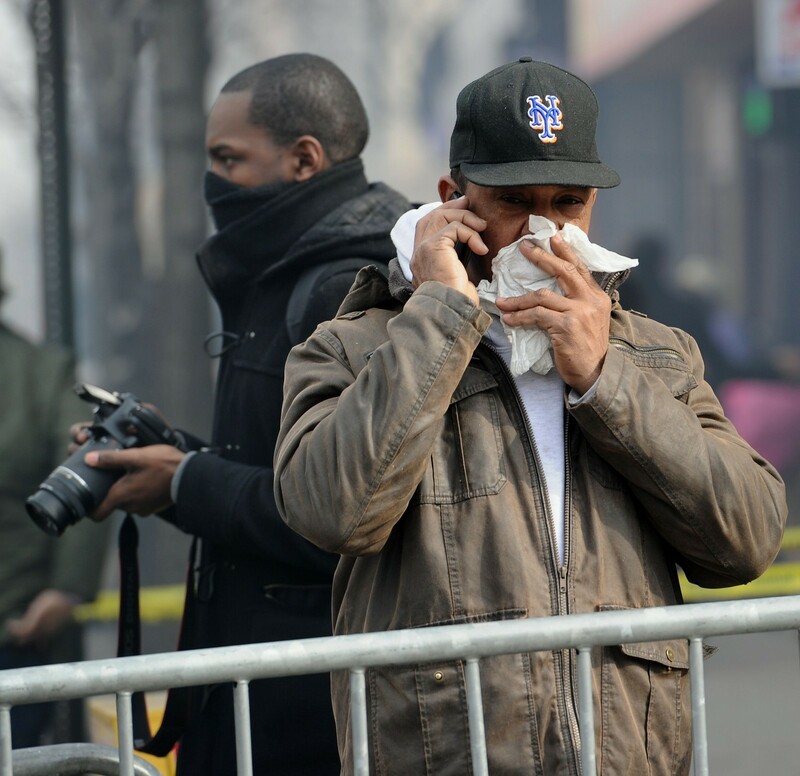 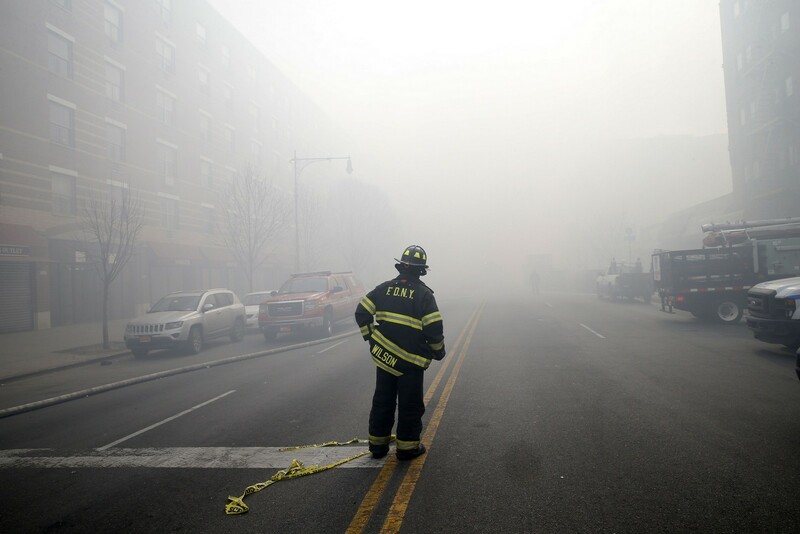 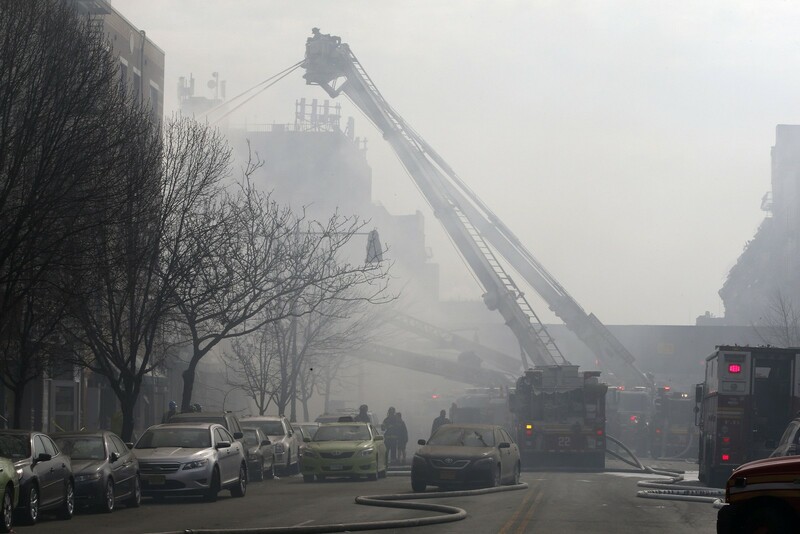 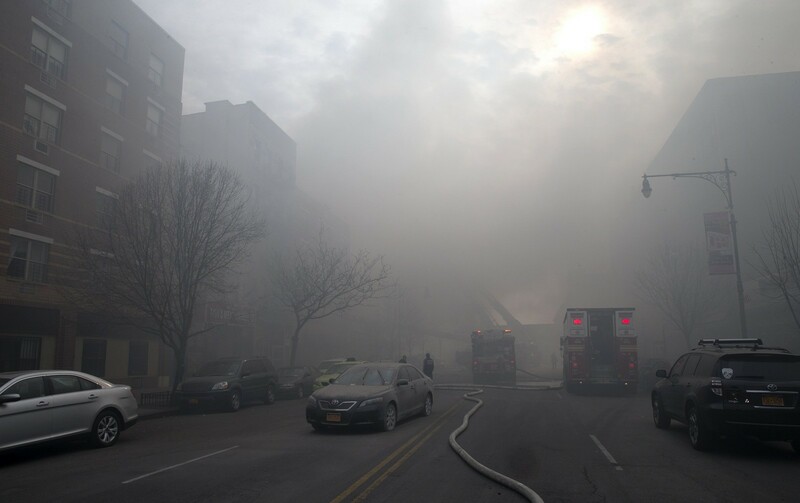 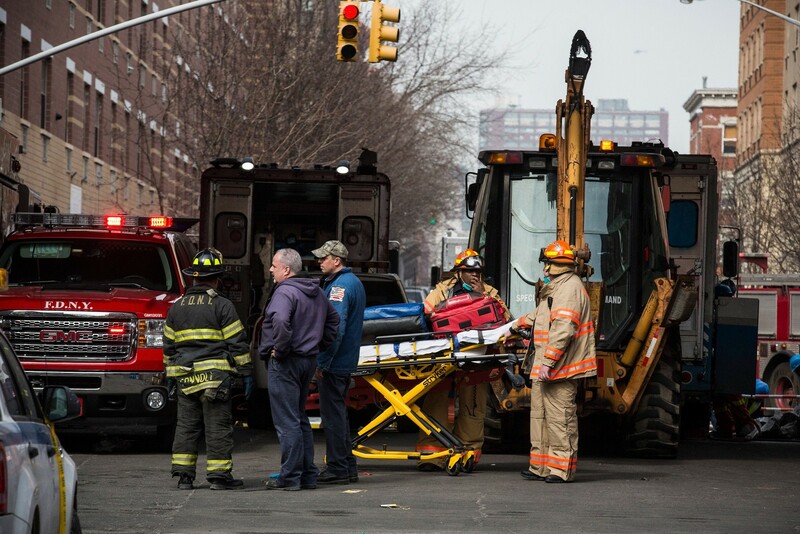 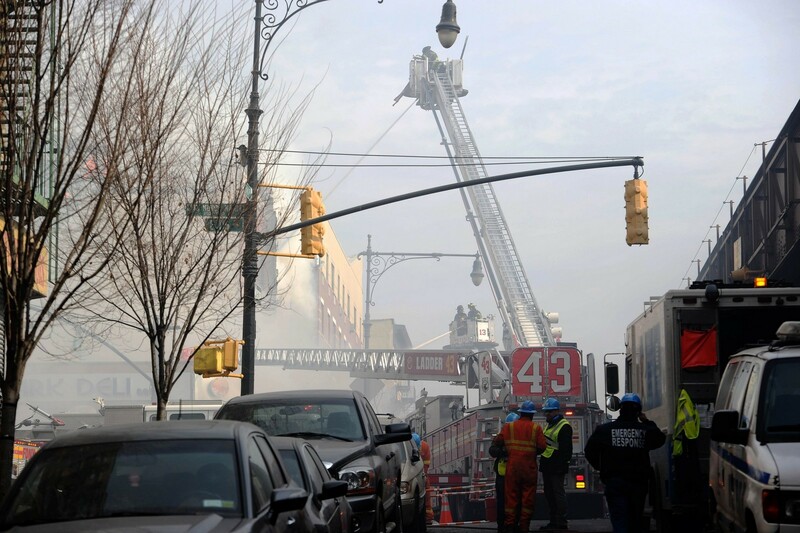 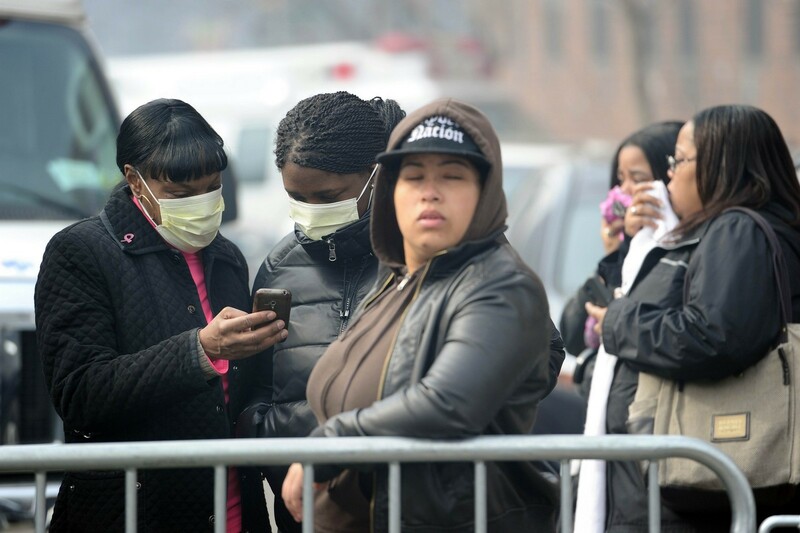 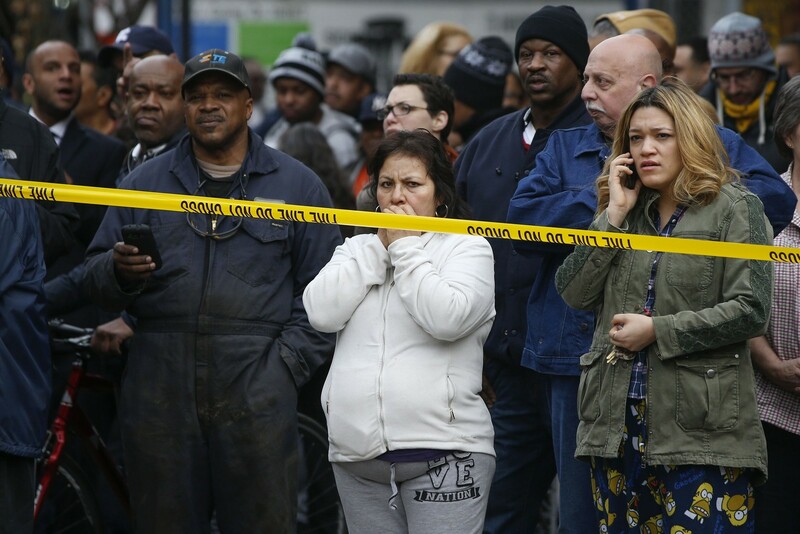 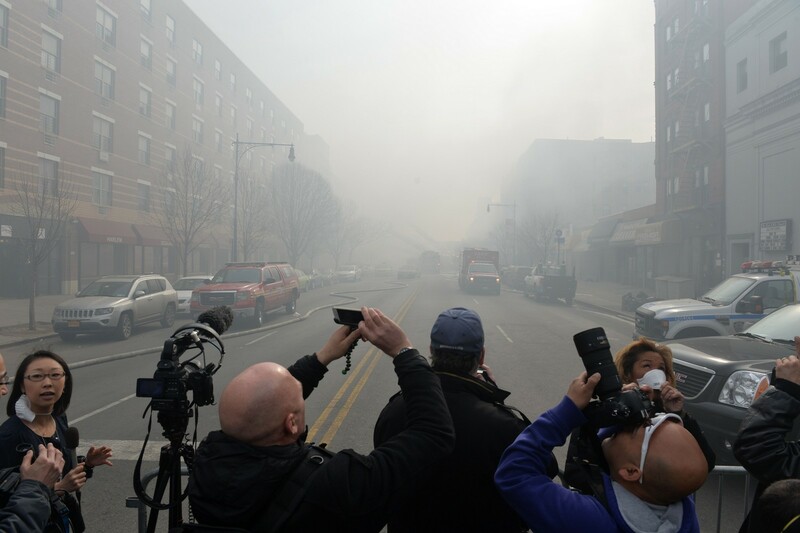 Officials told a news conference that the blast occurred 15 minutes after a resident in an adjacent building called utility company Con Edison to complain of a gas odour. 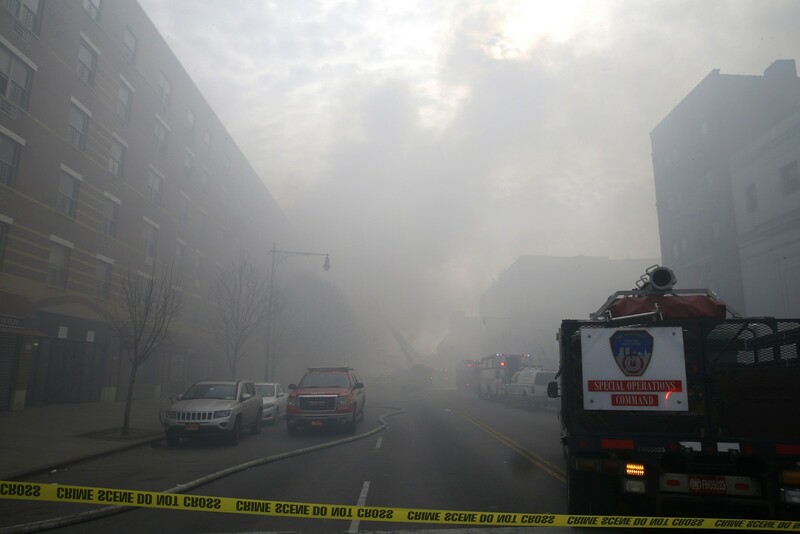 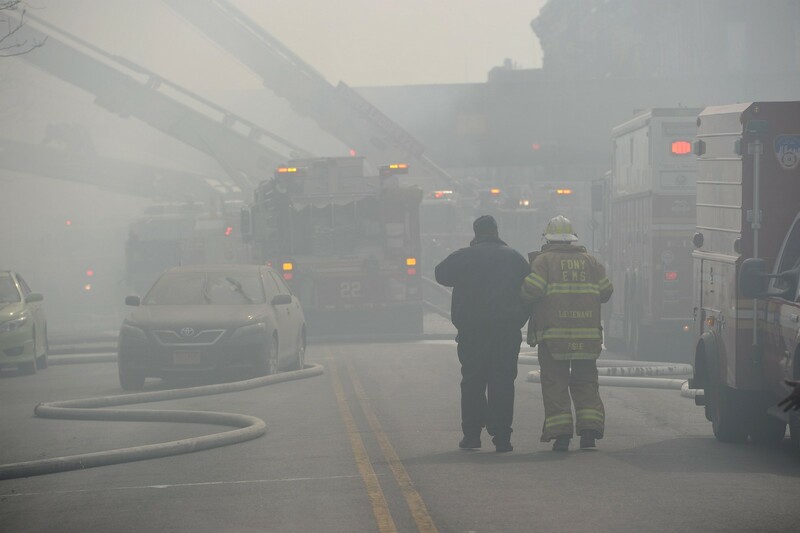 Edward Foppiano, Con Ed's vice-president for gas operations, said that while the utility could not say for certain what caused the explosion, it was treating the incident as a gas leak. 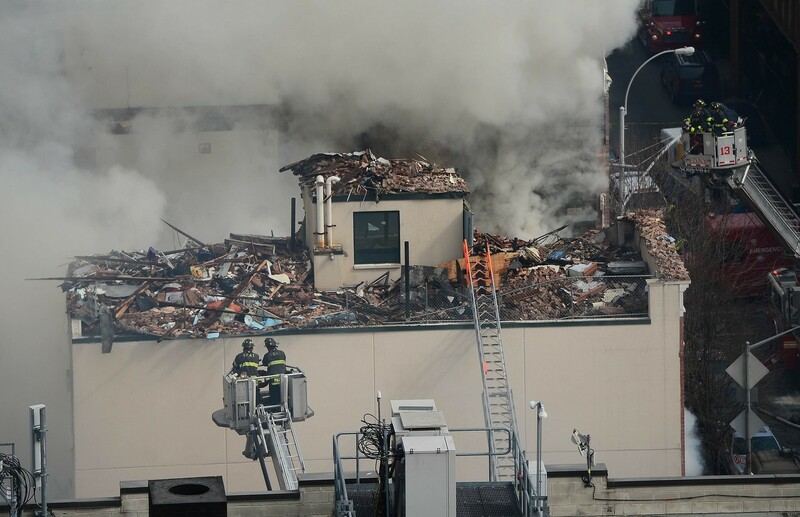 The utility responded to customer complaint about a gas odour in the area in May, but the issue had been resolved, Foppiano said. 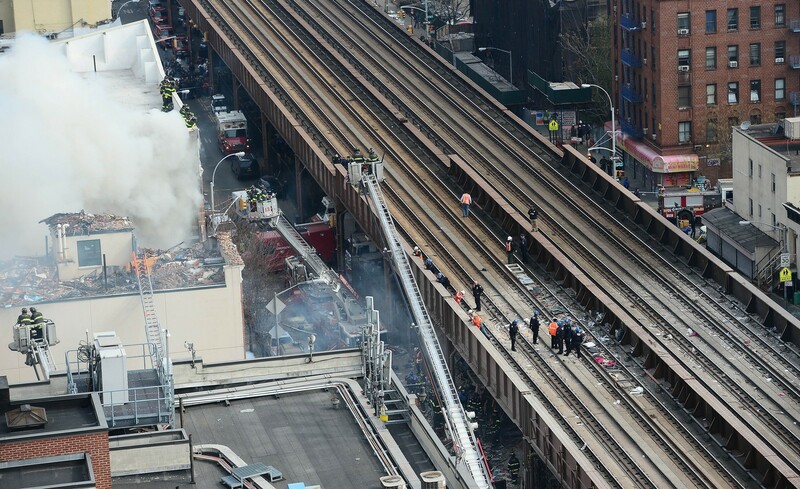 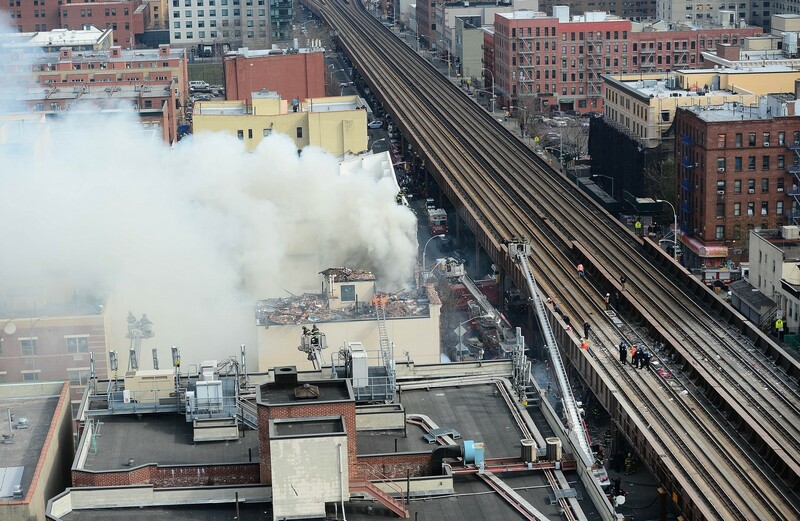 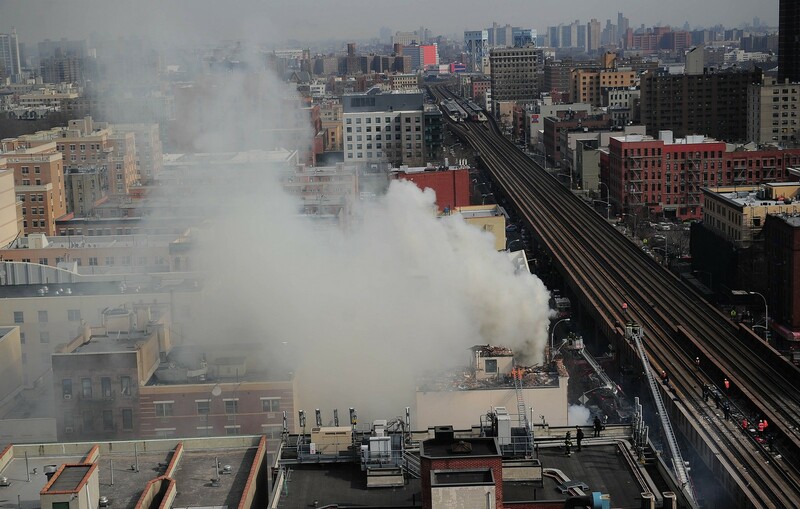 The National Transportation Safety Board said it was investigating the "gas explosion and subsequent fire". 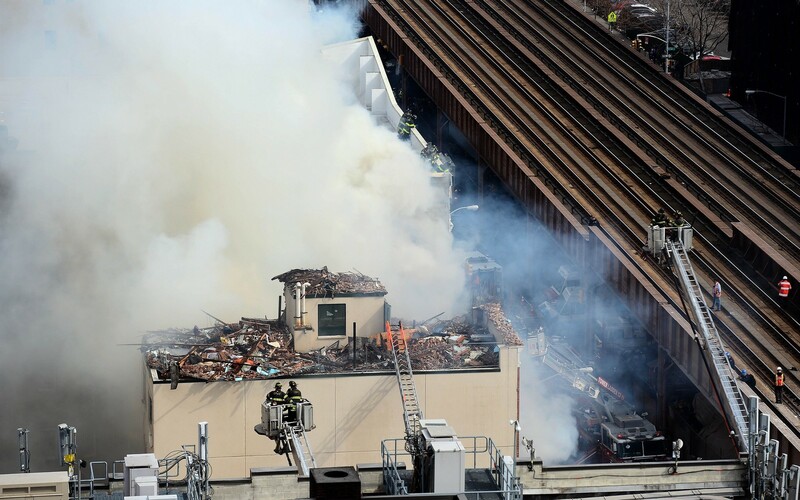 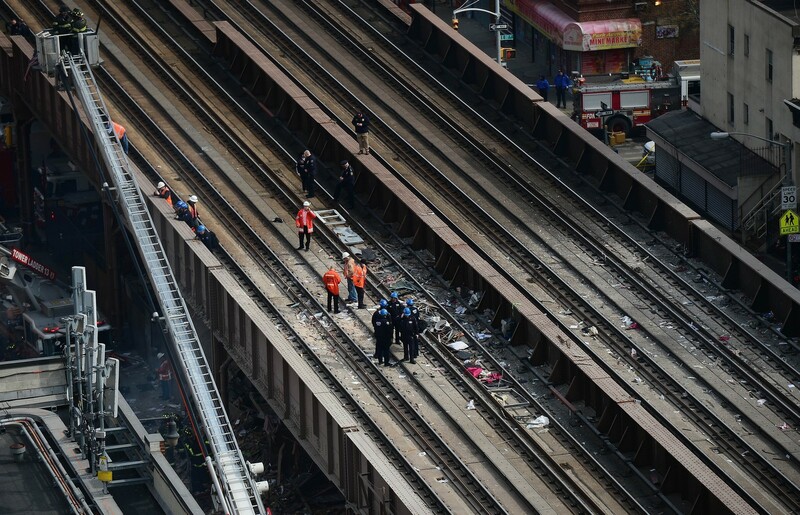 Metro-North Railroad, which had shut down train traffic moving through Manhattan while it cleared debris from the tracks, announced in the late afternoon that it had restored all commuter rail service through the area. 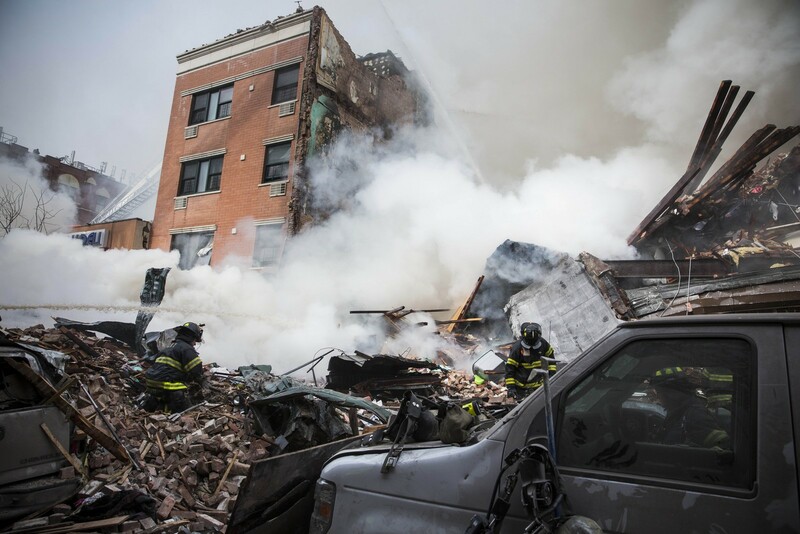 Two women were confirmed on Wednesday as having been killed, and the body of a third woman was found in the rubble later, police said. 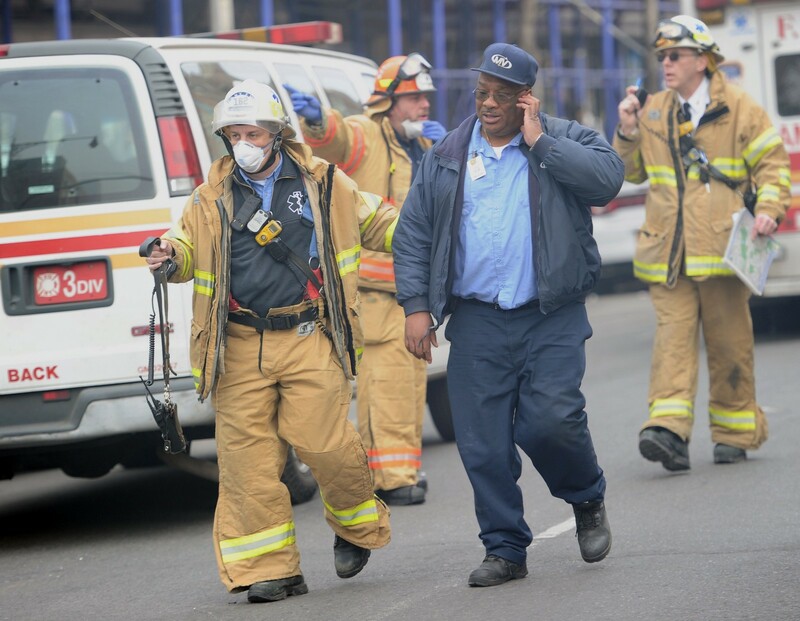 Late on Wednesday night, search teams pulled the body of a fourth victim from the site, fire department spokesman Khalid Baylor said. 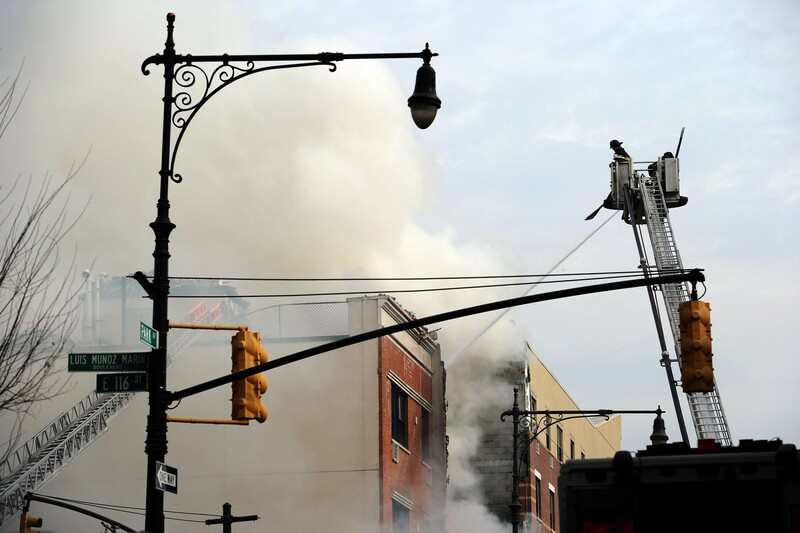 The fourth, fifth, and six victims were two adult males and an adult female, police said. 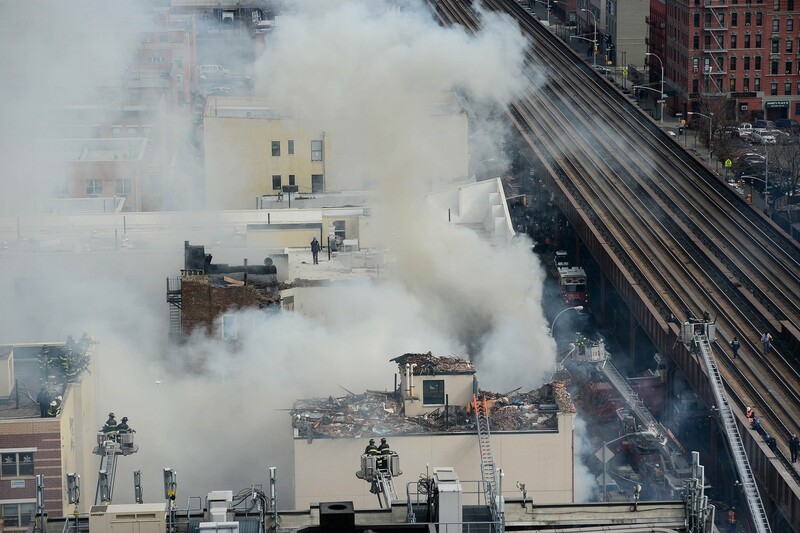 More than 40 people were injured, most of them suffering cuts, broken bones and smoke inhalation, police spokesman Christopher Pisano said. 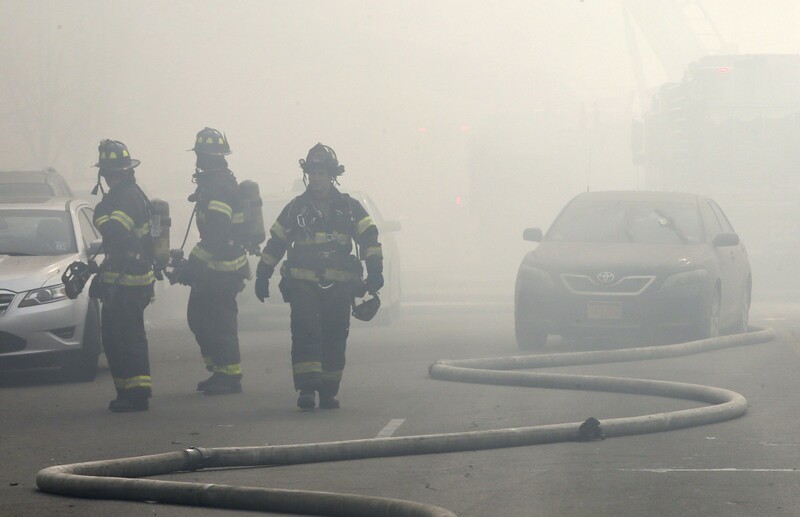 At least three children were among those hurt. 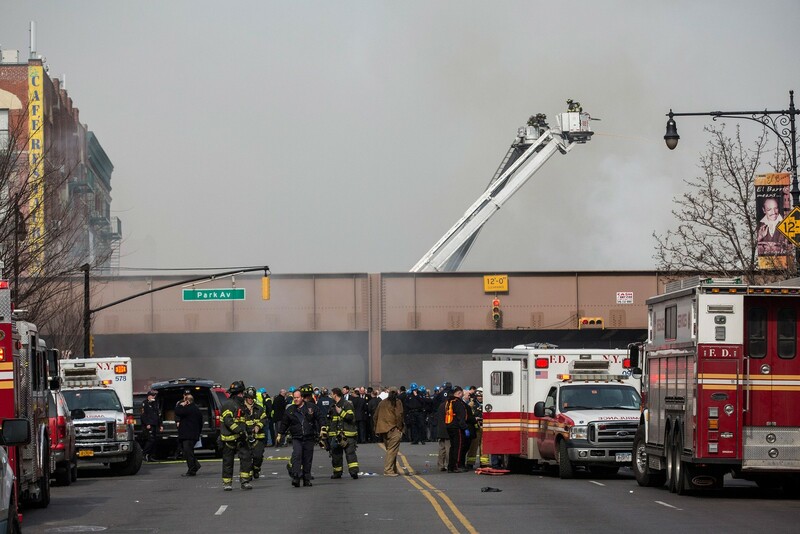 Two were treated for minor injuries and released, while a third was in critical condition, hospital officials told a news conference.